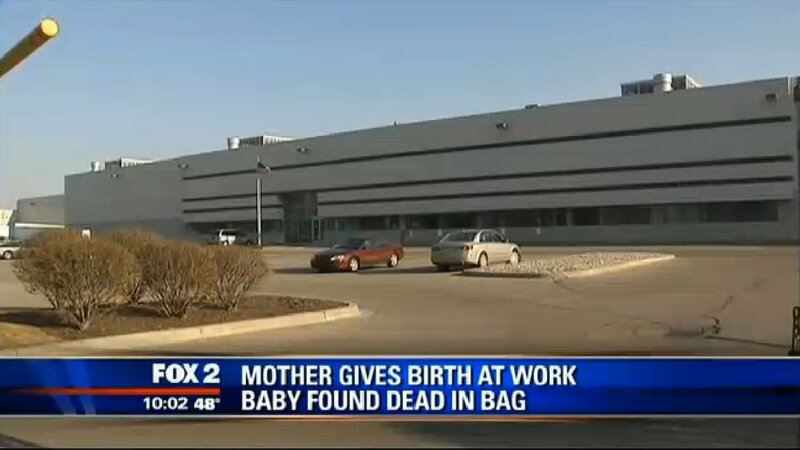 A Michigan woman decided to try to return to work after delivering a baby in the employee restroom, but the discovery of blood and a deceased baby prevented her from doing so. Ceva Logistics in Redford Township, Michigan, was the site of the unhappy discovery. Employees had heard moaning coming from a nearby bathroom, and when they went to investigate, they found blood everywhere. They were alarmed, because even a little bit of blood would warrant an inquiry on the status of the other staff, and reports say that blood was all over a bathroom stall. They then went around to make sure everyone was OK, and everyone answered — except for a 26-year-old woman. When they noticed she was also bloody, they called the police, who investigated the scene and unfortunately found a dead baby under her desk, stashed away in a bag. Both mother and baby were taken to the hospital. The infant was officially pronounced dead upon arrival, and an autopsy was performed. The results of that autopsy are still pending. Before the investigation can proceed, they will need to determine if the baby was stillborn, died after delivery or if a homicide is suspected, and the autopsy report can help answer that question. Nobody at the business knew the woman was pregnant, and grief counseling has been offered to the 150-plus employees at the location. This story is sad for many reasons — that the woman felt she needed to hide her pregnancy, that her co-workers were treated to an unwelcome horror show in the bathroom and that the infant was possibly murdered by its mother. I can’t imagine going through labor and delivery in a semi-public bathroom and then trying to go back to work while my dead infant was stowed away under my desk in a bag. Regardless of whether the baby was born alive or dead, the mother should have made an effort to get help when she went into labor, and even accounting for the possibility that she didn’t know she was pregnant or in labor, once the baby was born, she should have gotten help right away. It’s difficult to speculate on her reasons when we don’t know exactly what happened, but hopefully the autopsy will bring at least some answers to light.